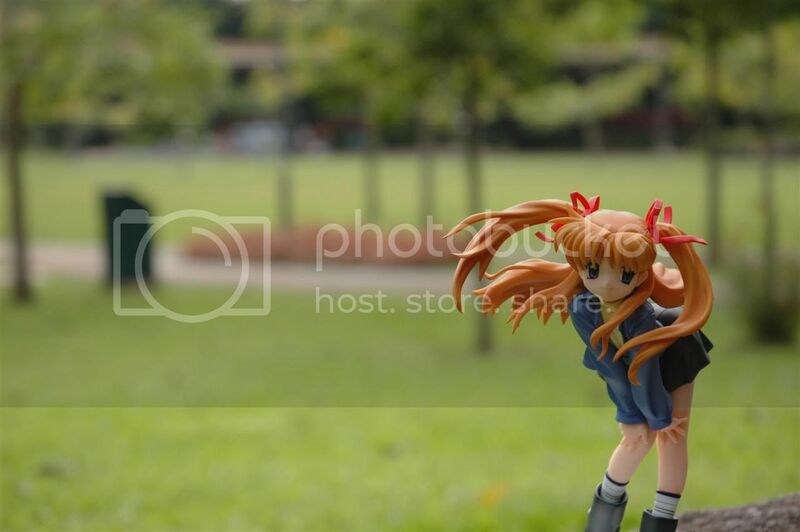 ~Eternal Snow~: Team Blue Figurine Photo-shoot Outing ~One with Nature~. 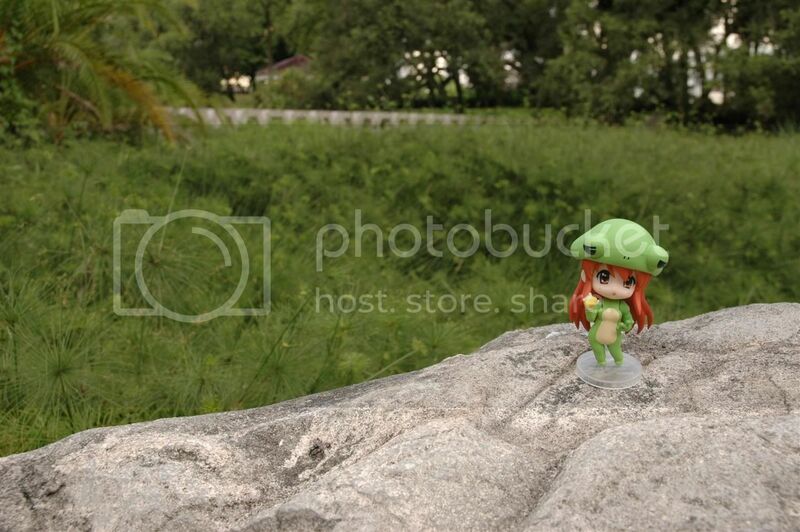 Team Blue Figurine Photo-shoot Outing ~One with Nature~. 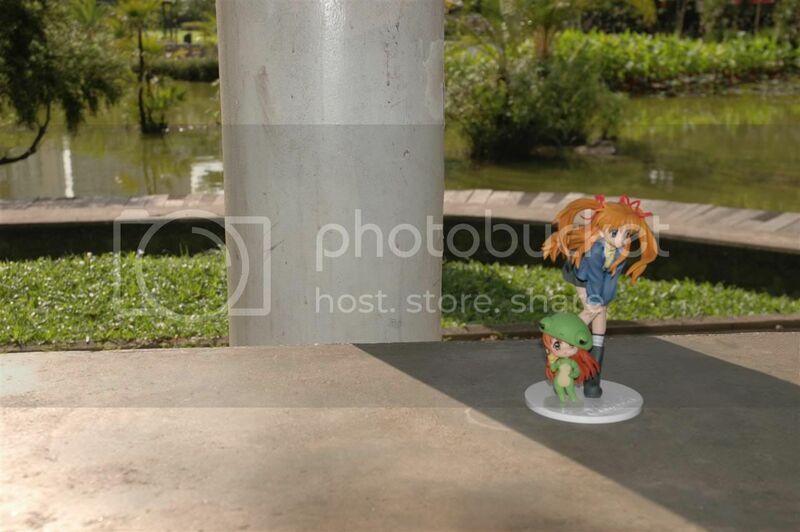 On Saturday, 21st June 2008, was our SGblogger's (Informal group name Team Blue) 3rd Outing, and it was also our first figurine photo-shoot, held at Toa Payoh Gardens. Anyway, I should be the last one who is doing this coverage, so I'll just skip the introduction and head straight to the photos!! The notorious Team Blue. 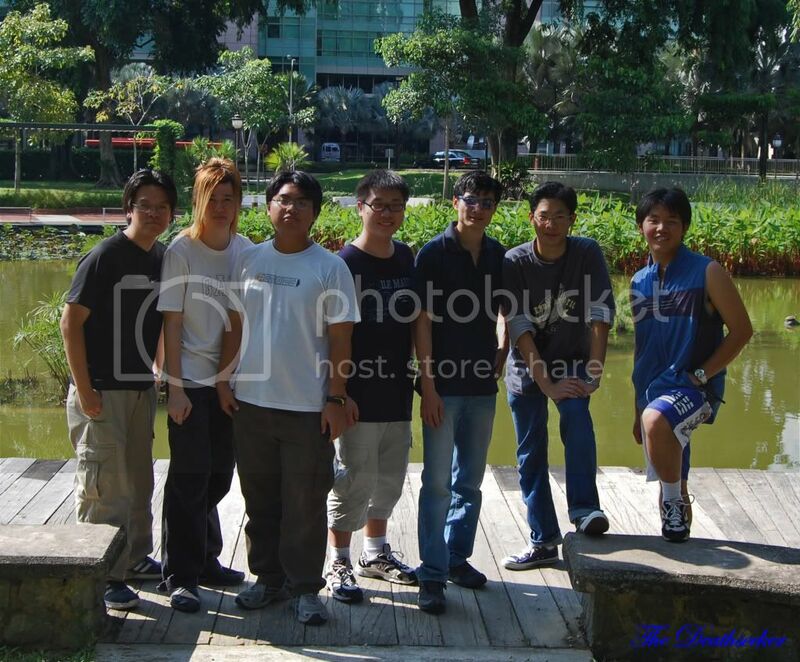 From left to right: Kumo, Squee, Fariz, Raven, Panther, Gordon, Me. Pic taken from Team Blue / Panther. First up on my figures, is a family of tortoise, made to pose on some rock... Not. 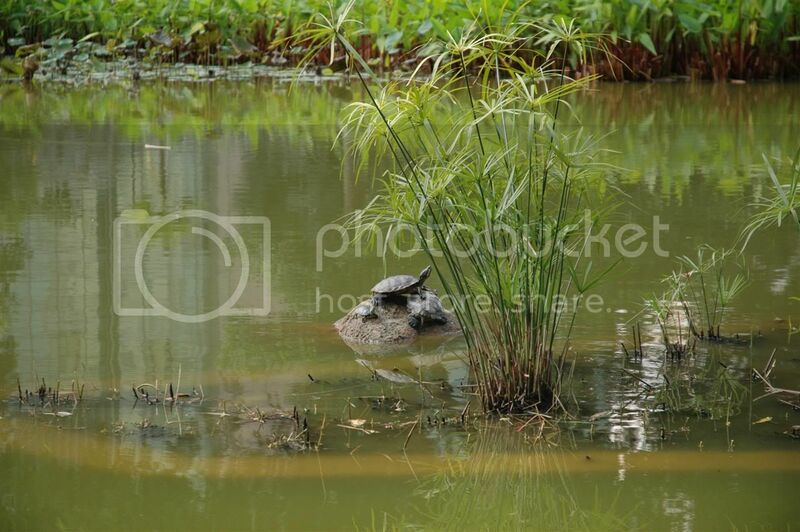 Just some of the many tortoise I saw in the pond. Walking along the water edge, I spotted this cutie who just came out of the water!! She introduced herself to me as Mikuru. She brought me around her favourite spots in the area. She especially enjoys hiding in the plants as it shields her from the scorching sun. While walking around, we spotted another beauty enjoying the scenery and the wind brushing through her beautiful orange hair. 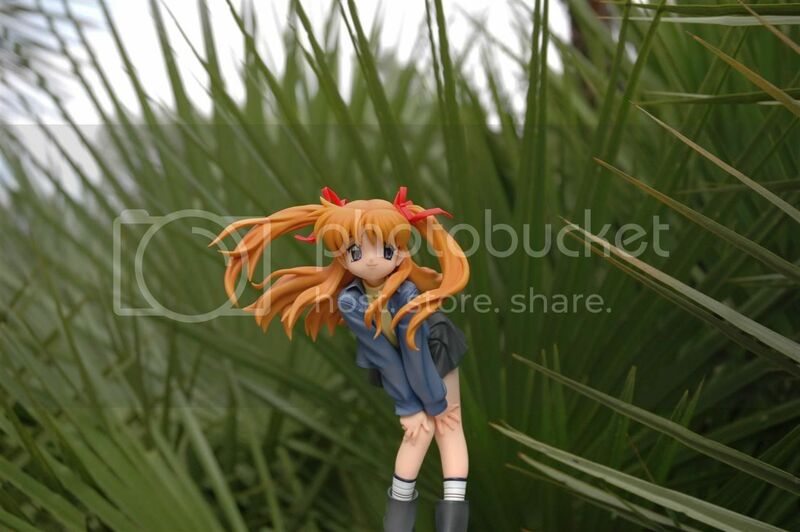 And Mikuru decided to quietly sneak up behind her... O.O Nice view!! *Mikuru viewpoint* "Kyaa!!!" she screamed, nearly blowing out my ear drums in the process. 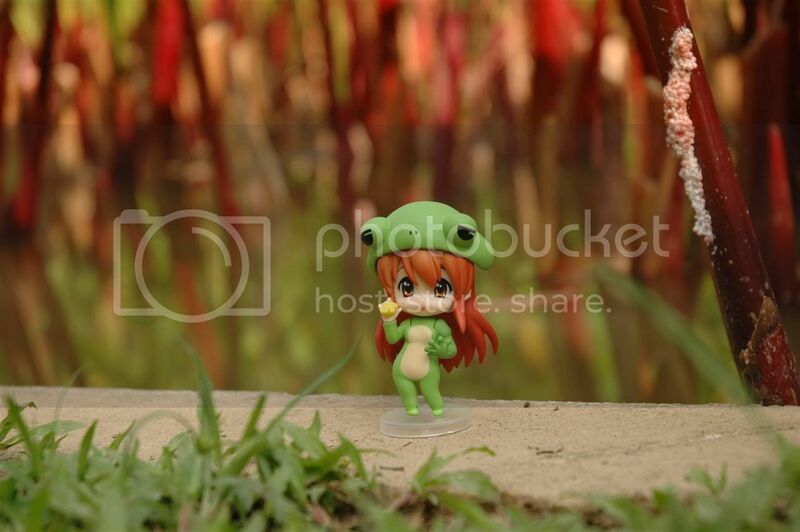 After apologising multiple times for Mikuru's entics, I asked her to pose for some photos for me, and to my joy she gave the go-ahead. She told me her name is Makoto, and that she's some kind of fox who took up a human form; not that it really matters to me as long as she's cute ^^. It was quite a hot day, so we decided to hide in some shade and wait for the sun to die down before continuing... But sadly, I had to leave for another appointment, so I bidded farewell to the girls as they left for home too. Makoto giving a playful goodbye before disappearing into the "tall" grass. Goodbye to Mikuru too, as she jumps back into the pond where her ugly father was waiting. Okay I admit, that wasn't that nice of an ending (ugly frog). 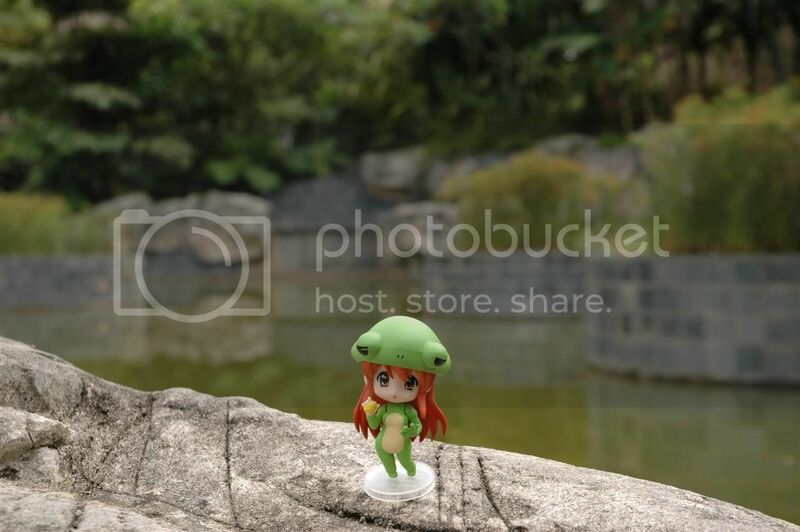 I'll also need to improve on my outdoor figurine shooting technique; as compared to the others, my choice of background was a little plain, since I went in the other direction away from the pond area lol. Nevertheless, I guess this was a good experience, and will definitely help in my photo-composture in future shoots to come. Can't wait for the October one!! Anyway here's some candid shots taken at the scene. 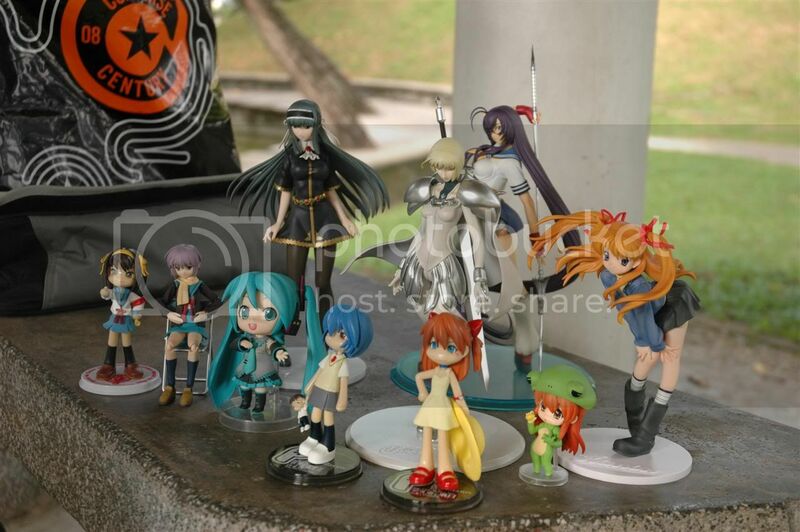 Group photo of cutie figurines. And various individuals queuing to take photos of them. Another group shot. Lulu needs to be shot dead. Needed one of him lying on the ground with Claire and Kanu staring down on him, and maybe Miku using her leek to bash his head while he's down. Since I had to leave early for an interview down at NTU, I don't have any night photos to show. 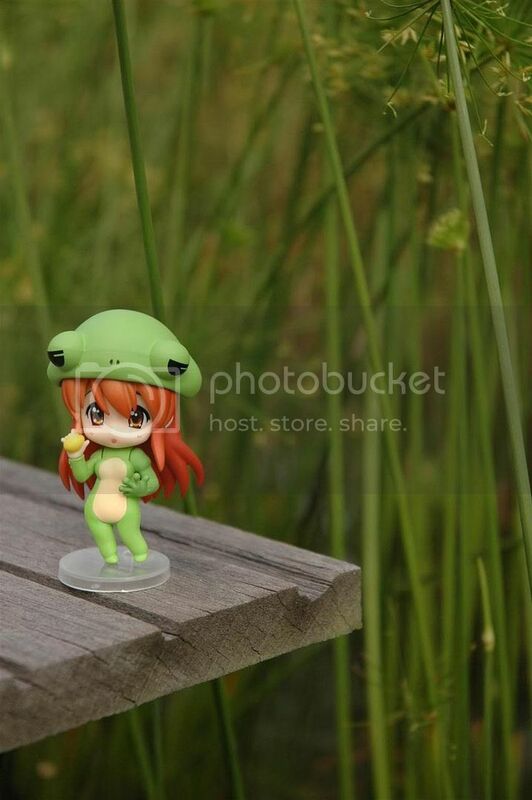 Anyway, the figures that I used were: GSC Nendoroid Petit Mikuru Frog Costume and Max Factory Sawatari Makoto. Tomorrow's post should continue with Day 4 of my Japan trip. Signing out for now. Er, wut wuz that "Ugly father" thing? abao: thanks for the compliment ^^. 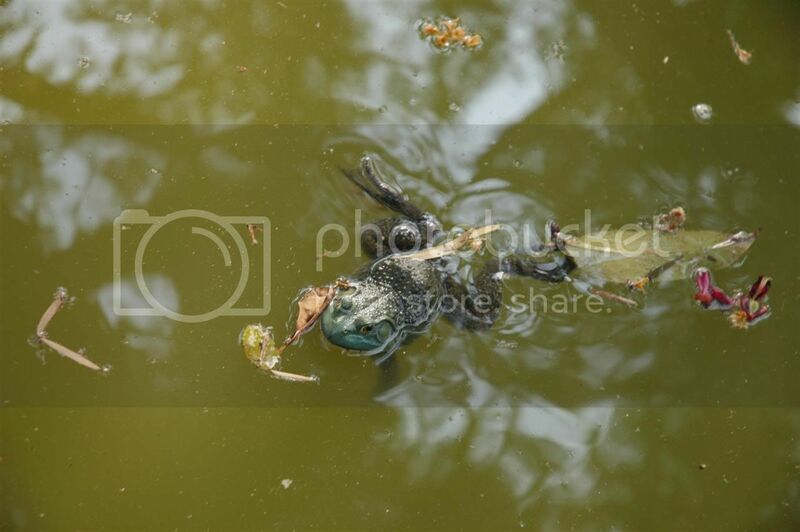 C.I: cuz the frog in the pond was ugly!! That's why it's ugly!! fariz: maybe I should rename it to ~Bad End~ lol. I love your pictures! Very nice! Lmao you got the frog and I did not. Missed one floating in the pond, while setting up my camera and when finally ready to shoot he dived. Damned fugger. panther: this is where the quick startup (<0.2s), and fast setting change by dial in manual mode of a DSLR comes in handy. I spotted a total of 3 frogs though. gordon: yea she's really cute ^^. Hatsune Miku Clock - Click her! 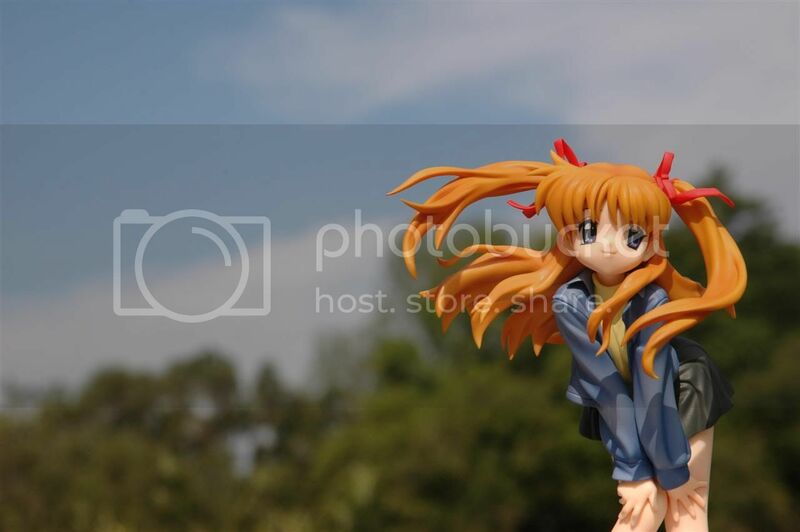 Wcloudx (kumo)'s Blog - Ramblings about Figures, Gunpla, & More!! Max’s Figma Rintaro Reservation Starts!! 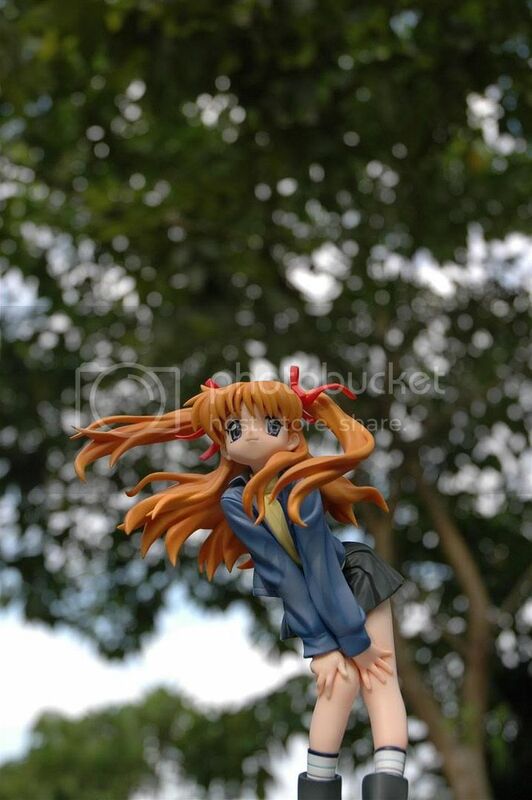 [LianYL] Anyone Still Interested In Otaku Goods? 望み - What is that you desire? take the stairs to get in your basement! 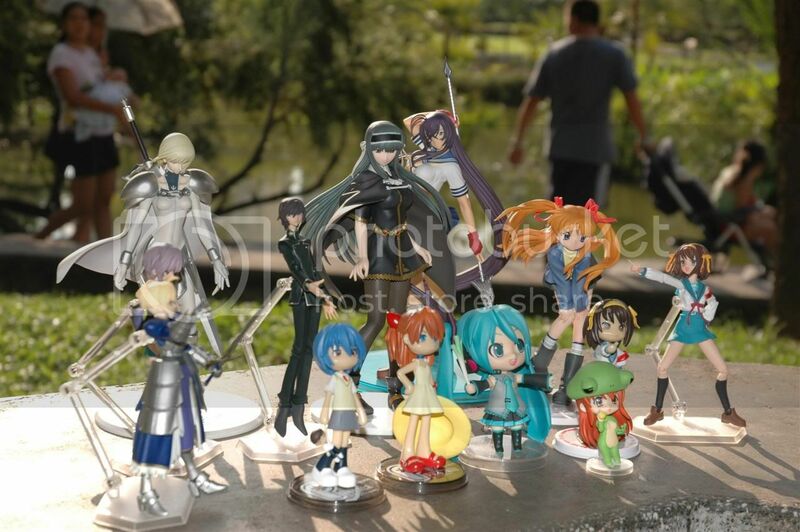 dannychoo.com - Anything about Japan and Otakus! More Money for going Travelling and Diving!!! Vocaloid Spotlight: Hatsune Miku - Letter Song. Japan Day 7: Tokyo DisneySea. Japan Day 4+5+6: Various Locations. Japan Day 3: Washinomiya Jinja. Japan Day 1: Asakusa + Roppongi. Japan Trip II - Loots!! Back from Japan!! Teaser Post. Sakura no Ame Project by Halyosy.